GENEVA, 5 December 2018 (ILO)* – The International Labour Organization (ILO) estimates that 164 million people are migrant workers – a rise of 9 per cent since 2013, when they numbered 150 million. 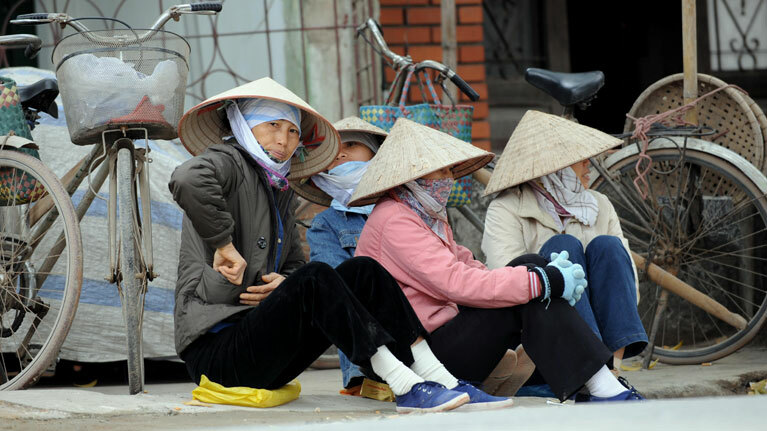 According to the 2nd edition of the ILO’s Global Estimates on International Migrant Workers , which covers the period between 2013 and 2017, the majority of migrant workers – 96 million – are men, while 68 million are women. This represents an increase in the share of men among migrant workers, from 56 per cent to 58 per cent, and a decrease by two percentage points in women’s share, from 44 per cent to 42 per cent. The report provides a comprehensive picture of the subregions and income groups in which migrants are working. Of the 164 million migrant workers worldwide, approximately 111.2 million (67.9 per cent) live in high-income countries, 30.5 million (18.6 per cent) in upper middle-income countries, 16.6 million (10.1 per cent) in lower middle-income countries and 5.6 million (3.4 per cent) in low-income countries. Migrant workers constitute 18.5 per cent of the workforce of high-income countries, but only 1.4 to 2.2 per cent in lower-income countries. From 2013 to 2017, the concentration of migrant workers in high-income countries fell from 74.7 to 67.9 per cent, while their share in upper middle-income countries increased. This could be attributed to the economic development of the latter. Nearly 61 per cent of migrant workers are found in three subregions; 23.0 per cent in North America, 23.9 per cent in Northern, Southern and Western Europe and 13.9 per cent in the Arab countries. Other regions that host large numbers of migrant workers – above 5 per cent – include Eastern Europe, Sub-Saharan Africa, South-Eastern Asia and the Pacific, and Central and Western Asia. In contrast, Northern Africa hosts less than 1 per cent of migrant workers. The authors also highlight the importance of gathering more comprehensive and harmonized statistical data on migration at national, regional and global levels. The ILO is planning to produce global estimates on international migrant workers regularly, to better inform decision-making and contribute to the implementation of the Global Compact for Safe, Orderly and Regular Migration. “International labour migration is a rising policy priority and there is a need to respond equitably to the interests of countries of origin and countries of destination, as well as to the interests of migrant workers,” said Rafael Diez de Medina, Chief Statistician and Director of the ILO Department of Statistics. *SOURCE: ILO News. Go to ORIGINAL.